Everyone knows that exercise and good nutrition can do a lot to prevent or delay diabetes onset, but that they are also key factors in controlling diabetes, preventing serious complications, and in living well with diabetes. 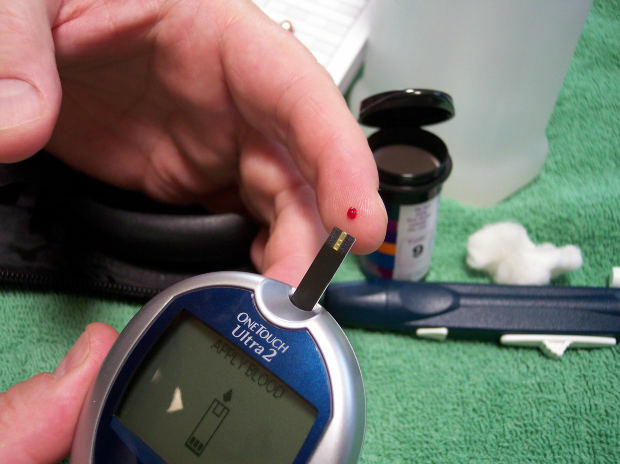 Fitness is recommended for all diabetics, but care must be taken to develop a safe plan given your specific situation. A recent study showed that people who had diabetes and who walked daily were healthier after two years. Their medical expenses were lower as well, indicating their overall health was better. In contrast, people with diabetes who did not exercise experienced a decline in health and increased health care costs. People with diabetes who exercise enjoy many of the same benefits of people exercising without diabetes—and more. For people with diabetes, though, exercise takes on an even greater importance as the extra boost is necessary to keep the heart, lungs, and body functioning at optimal capacity. Exercising with diabetes is similar to exercising without, but there are special considerations that need to be accounted for. Since exercise causes dramatic changes to blood glucose, it is important to talk to your doctor about how to manage blood sugar before, during, and after exercise. It is also important to know what types of exercise are beneficial and will improve your condition and what types of exercise are safe given your specific symptoms/condition. For this it is important to ask personal trainers in The Woodlands for advice. In addition, personal trainers in The Woodlands require that all diabetics stay well hydrated during exercise (because dehydration impacts blood sugar) and should always check for injuries (particularly of feet) following exercise. Developing a plan for safe and effective fitness can be daunting if you have diabetes. The help of qualified professionals—including the advice of your doctor and the knowledge of personal trainers in The Woodlands—can help immensely. Your doctor will work with you to make sure that you are exercising in a way that is beneficial and safe, and a personal trainer will build upon your doctor’s recommendations to develop a fitness plan that is right for you. As a diabetic, exercise is one of the best ways to remain healthy at your optimal level throughout life. Get the professional advice and assistance you need and commit to regular exercise so that you can live well for many years, despite your disease. Personal trainers in your area can help you learn about how this is possible. Previous articleHow can you finish what you started?